I don’t like peaches. I’m not even sure I’ve ever eaten a real one, but my experiences with Peach Snapple and peach-flavored candies have convinced me that those fuzzy fruits aren’t my type. Go ahead, judge me. That’s why I initially pulled a Commodus when my friend Isabella offered me some D.L. 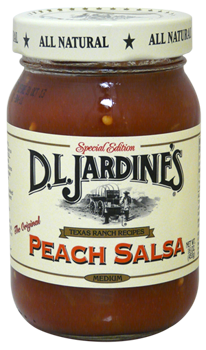 Jardine’s Peach Salsa a few years ago. Hello, I could see the peach chunks in the jar! Nooooooo thanks. But Isabella insisted and I figured that one bite wouldn’t kill me. At least, I hoped. As we all know, the best way to save money and avoid unhealthy food during the workday is to bring your own lunch to work. For those that like to cook, preparing lunch is probably easy and enjoyable; however, if you don’t like to cook or find that despite your good intentions, you can’t seem to make it work, you too can bring a good tasty lunch to work. While it might not be as impressive as the Iron Chef lunches your colleague always brings, your lunch can still be tasty and exciting. How, you ask? By using interesting spreads, I exclaim! I was really struggling with finding a snack to post about today. You may think that someone who writes a blog called SkinnyOffice has an abundance of low-cal snacks in their kitchen cabinet just waiting to be blogged about. But the truth is (is telling the truth here like a magician giving away the secrets to his tricks?) all we have is a meek and quickly dwindling Google doc, which means that most of the time I’m left to my own devices to unearth some obscure snack to blog about. I find inspiration in the strangest places– everywhere from the supermarket (ok, finding a snack in the supermarket is not strange at all) to the streets of NYC– but I discovered today’s snack in the most unlikely way. It happened on Saturday afternoon, when I was rushing down Broadway to get to Club Monaco before my 3pm manicure appointment. I made to to Club Monaco by 2:30, returned the muumuu-type dress that had been crumpled in a bag in my closet for 2 weeks, and mustered up every ounce of energy I had to sprint back to 8th street before my nail appointment. I was making good time–by 2:45 I was crossing Houston– but then something stopped me in my tracks. It was a man with a cat on his head. He had a dog-carrier type bag with a cat inside and the other (more interesting) cat was on his head, like a very furry top hat. 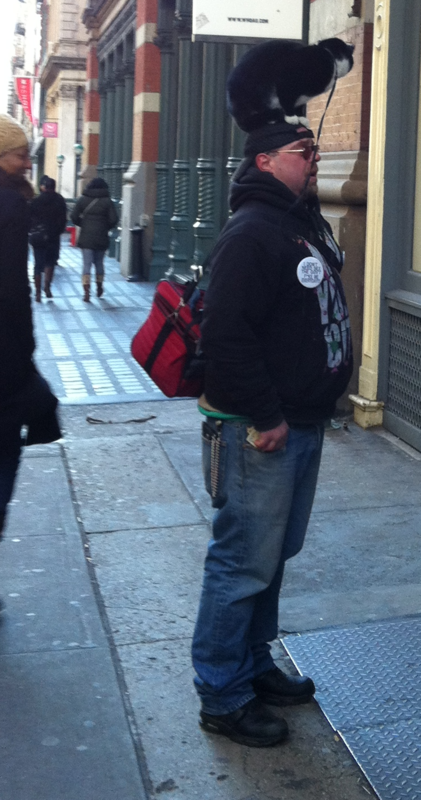 I tried to take his picture without him noticing, but he asked for a dollar when he saw my iPhone pointed towards him. I felt a bit sorry for cat man so I gave him the dollar, but when I started thinking about it I realized that he was probably warmer than I was that day, because having a cat on your head must provide great insulation. This guy didn’t have snacks squirreled away under the cat or anything cool like that, but he was also carrying a grocery bag and in it I saw Wholly Salsa. 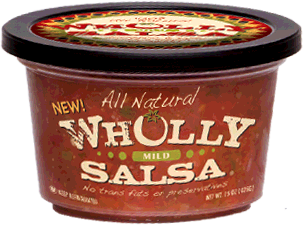 I’d never heard of Wholly Salsa, but I was very intrigued about Cat Man’s epicurean tastes so when I arrived home (with freshly painted nails) I googled Wholly Salsa, and then went out and bought some for myself. I know all salsa is pretty low calories, but Wholly Salsa has only 10 calories in every 2 tablespoons and 0 grams of fat. As an added bonus, it contains 15% of your daily requirement for vitamin C! Maybe I’ll ask Cat Man to guest blog next week? I hope I didn’t steal his snack idea. So Sunday, as usual, there was some big football game or whatever, and obviously I was the only person in Murray Hill not at Brother Jimmy’s eating wings and yelling about the latest unfair foul or something. Instead, I was home alone, moping about my football dilemma, which is that I sort of have a mild interest in football and wanted to be out day-drinking and watching with other people, yet I’m actually not at all interested in football and mostly just wanted to be by myself and watch that Lifetime movie about those middle-school girls who all got pregnant together. As the pregnant 12-year-olds began to grace my TV screen, I decided that, to celebrate not being pregnant, I would a) open a bottle of wine, and b) make myself a salad. Okay so the salad’s not really an exciting point, but what was exciting about it–and honestly, this is the only thing that induces me ever to make my own salad–was the salad dressing. Introduced to me by a dear college friend, Newman’s Own Lite Low-Fat Sesame Ginger Dressing is the first dressing I have felt is worth making my own salad for lunch. This is a pretty big deal. If THIS Newman were the Newman on Seinfeld, I bet Jerry would have loved him. I mean, you kind of have to be into the tangy, Asian-inspired, “sesame ginger” kind of taste, but let’s be honest, we’re not talking about the most sophisticated flavoring here–you’ll probably like it. It’s the best part of my salad, which I guess isn’t really saying much since I’m always basically too lazy to put anything in a salad besides lettuce, and on a good day, some turkey. But still–this dressing doesn’t taste like it only has 35 calories per two tablespoons, and you can put on as much of it as you want and not worry about defeating the purpose of eating a salad. I promise, with this dressing you will actually look FORWARD to your salads, not dread their tastelessness! I keep almost no food in my fridge. I hate to admit it, but I never, ever cook (except for one half-assed attempt to make fish in September), so there’s really no reason for me to have anything other than a few bottles of seltzer (basically the only thing I drink), an old clove of garlic that my mom gave me in hopes that owning garlic might lead me to some culinary epiphany, and a super-size bottle of soy sauce. You might think the soy sauce has no place in an apartment so devoid of things one might put soy sauce on, but the truth is, soy sauce makes literally everything taste better and there’s nothing on earth that I wouldn’t put it on. I love soy sauce so much it actually haunts my dreams. 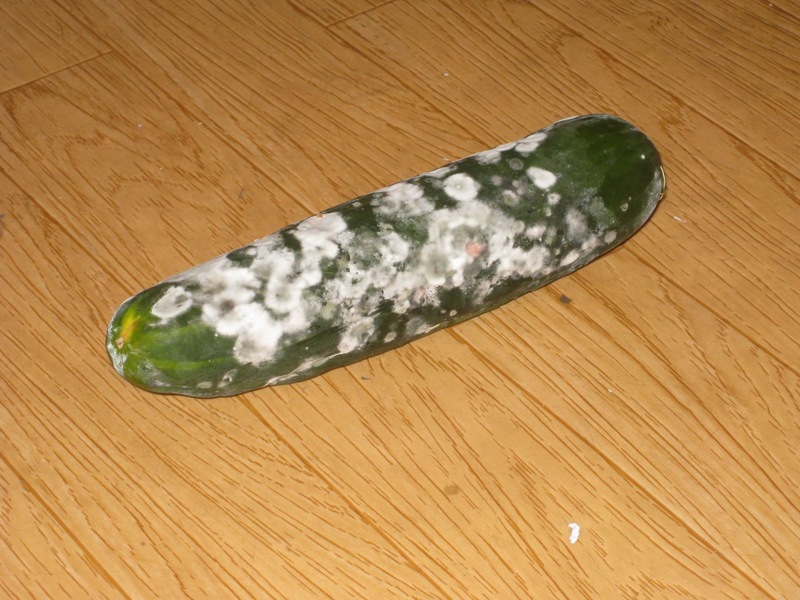 Once I had this very old cucumber, which I had accidentally left sitting in my kitchen in the bottom of a grocery bag for about 3 days. When I found it, I was about to throw it out and then I had the brilliant idea to douse it in soy sauce. When I tried it I couldn’t even tell that the cucumber had spent the past 3 days rotting on my floor! Ok, my cucumber wasn't this old. But I bet soy sauce could even help this! I’d be happy if everything I ever ate for the rest of my life was completely saturated in soy sauce– really, I would. So that’s why I was just ecstatic when I discovered Blue Diamond Wasabi & Soy Sauce Almonds. I’m not a huge almond fan– they’re plain and sometimes the brown part gets stuck in my teeth. But cover almonds in a little wasabi and soy sauce and you have a delicious treat! 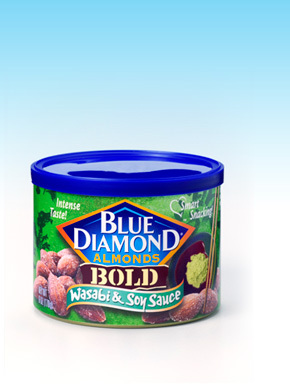 Blue Diamond almonds have just the right about of wasabi. They’re not too hot, but you definitely can taste it. And the soy sauce, oh, I don’t even need to say anything about the soy sauce. SO. GOOD. There are 170 calories in 28 nuts, and I’m not sure of the exact science, but I know that nutritionists always recommend eating them because they keep you full. Or maybe because they have good fats. Or maybe both. Either way, these almonds are so good you won’t even think of looking at the nutrition label. Is it just me, or is liking spicy foods generally not considered to be a girly or feminine trait? I always thought that for girls, liking spicy foods was kind of equivalent to liking dark, bitter beers. Because come on, when a woman orders a Guinness, everyone is kind of impressed. People are like, “WHOA. This girl must be like, totally tough and awesome.” (As someone reluctant even to drink the lightest of light beers, I sometimes dream of that girl being me.) But mounting evidence has led me to believe that it may not be the same with spicy foods. Whenever I order something spicy while out to eat with a guy, I sneak a hopeful glance at him to see if he is impressed with my advanced palette–no guy has ever looked the least bit fazed. Anyway, enough of my musings on the gender biases of liking spicy foods. My point is, I think more and more of us gals (ew…why did I just use that word) like to spice up their life–like literally, not just in the Spice Girls way. 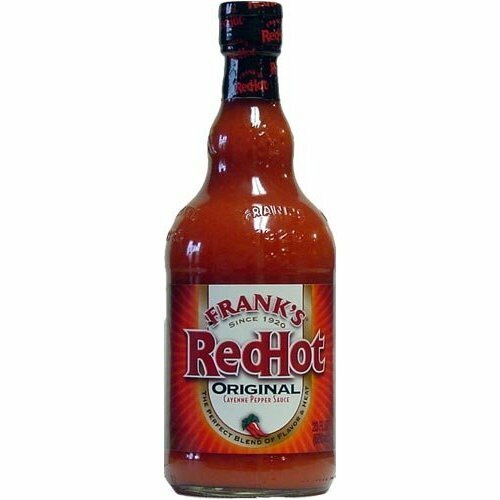 So if you happen to be one of those girls, one of the best ways to make any ol’ weekday lunch special is Frank’s RedHot Sauce. It can be put on even the most boring of office lunches–chicken wraps, salads, turkey sandwiches, carrots (oh give me a break, we all have those crazy diet lunch days)…you name it! I’ve been known to put Frank’s RedHot on everything from veggie burgers (normal-ish) to Triscuits (a bit odd but not unheard of) and string cheese (almost perturbingly bizarre). But I don’t just use this spicy condiment because I love spicy condiments. Frank’s RedHot is a go-to in large part because it has ZERO CALORIES. That’s right–zero. I almost wrote “zero carolies” because I got so excited just thinking about it. My best suggestion for a SkinnyLunch including Frank’s RedHot Sauce is probably any old salad, dressed with Frank’s RedHot and just a dollop of ranch dressing. I promise, after you try this, balsamic vinaigrette will soon become a thing of the past–as long as you don’t mind tearing up a little bit as you eat your lunch. But you shouldn’t mind anyway–the tears will make it seem like you have an important life crisis to deal with, like a family member getting hurt, or your mother taking away your Bloomingdale’s Visa, or something of a similar nature, and therefore gives you a premium excuse not to be doing any actual work. You’re welcome. This will be me someday...without the subtle censoring. There’s this little dieting trick I’ve been using for years. It’s not exactly scientific, and the American Dietetic Association would probably issue a warrant for my arrest if they knew that I was suggesting this, but it’s really hard to eat right around this time of year and sometimes one must go to extremes to maintain their figure! The trick is this: fill your desk drawer (or your home fridge) with snacks you DO NOT like. You may still be tempted to snack on them, but the more disgusting the snack, the less you will eat of it. 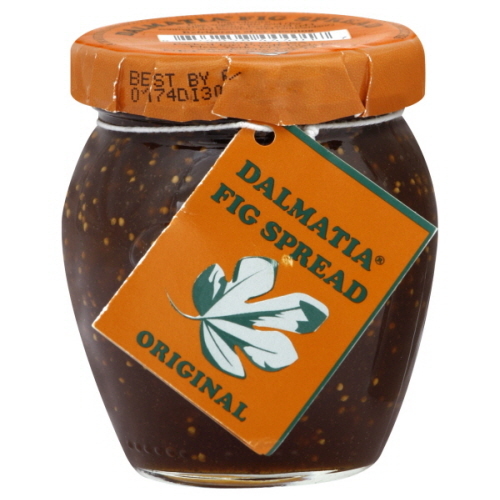 I can't eat any more of this. Recently, a friend of mine suggested that I swap the maddeningly delicious Cool Whip I usually keep in my freezer for Marshmallow Fluff. 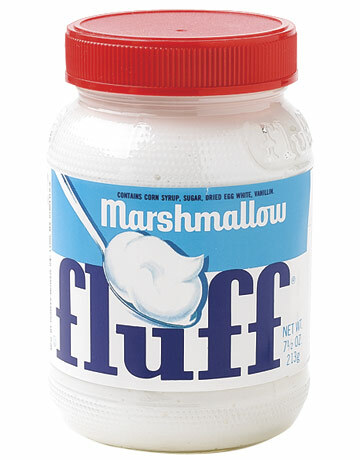 I protested: Marshmallow Fluff is disgusting. It’s the worst food in the whole world. “That’s the point!” she told me. The next day I bought the Fluff. I was right. It is the worst food in the whole world (that is, if we can call whipped marshmallows “food”). But it was sweet enough to satisfy my craving for dessert, and I didn’t even finish the entire serving size (2 tablespoons, 40 calories) because it was too gross. This brings me to Spicy Hot V8. I hadn’t had a can of V8 in years…until yesterday. I have very fond memories of V8– I used to drink it when I took plane rides when I was little– and when I heard that Spicy Hot V8 tastes just like a Bloody Mary without the alcohol, I ran right to the deli to buy some. Spicy Hot V8 does taste like a virgin Bloody Mary– plus the contents of a medium-sized pepper shaker. I have a fairly high tolerance for spiciness, but Spicy Hot V8 is heat-inducing. I actually had to take off my gloves and scarf because I was sweating as I drank it. The taste of the V8 isn’t offensive like Fluff is, and the flavor of it is actually pretty good. I was able to finish the entire can, and I even enjoyed a few sips (when I wasn’t too busy wiping the perspiration off my forehead). With only 70 calories a can and a long list of nutritional advantages (2 servings of vegetables in every 8 oz. serving! ), V8 is actually a healthy snack choice, while eating Fluff is no more nutritious (or delicious) than eating dog hair. 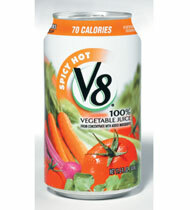 So while Spicy V8 doesn’t have the same run-for-the-hills effect as Fluff, its hotness lingers on your tongue for hours. No point in eating anything else when you can’t taste anything but pepper! So it’s Sunday of Thanksgiving weekend, and I’m trying to get out of my parents’ house as fast as possible. I stuff my ten unused Thanksgiving outfit options into my suitcase, leave a couple of shopping receipts on my mother’s desk (“You told me I could put that fur vest on your card! Don’t you remember? Well I NEED it!”), and run downstairs. Well, more like practically fall downstairs with the force of my suitcase behind me. 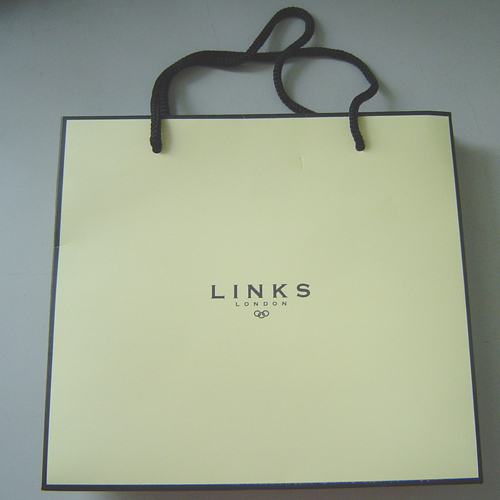 Anyway, as I run out the door my mom hands me a Links of London bag. The source of my mother's deceptive antics. “Here, take this,” she insists. I stare at her with an intrigued look on my face. Did she get me that bracelet I wanted? Did Hanukkah come early? I knew I was good during Thanksgiving weekend, but I didn’t know I was THIS good. But what the hell, I’ll take it. I get home, exhausted from a car ride with my father during which we talked about my future and career and a horrible concept called “self-sufficiency,” and finally look in my bag to retrieve my present. Is it a new watch? No. Is it that bracelet I’ve had my eye on? No. Is it even jewelry or even from Links of London? No and no. It’s cracked pepper turkey. The only thing more depressing than finding cracked pepper turkey when you were expecting a gold necklace is the thought of calling your mom to say, “Thanks for the cracked pepper turkey, Mom.” And who even wants to eat turkey after Thanksgiving weekend?? Well okay, I do, but she doesn’t know that. I get into the office today, clutching my turkey in my Links of London bag, hoping that it makes me look like I casually stop by the store on weekday mornings to pick up some new jewelry all the time, and realize that I can’t eat this turkey plain, as delicious as it is. 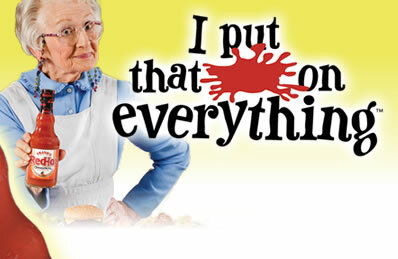 And since Georgia and I have decided to cut carbs due to the unspeakable amount of food we ate during Thanksgiving, I don’t want bread with it–I just want a condiment. And I know just the one. I run to our SkinnyFridge and pull out Bobbi’s Fat-Free Roasted Garlic Hummus. Now, I have something to say about hummus: it is tricky. First of all, it can’t decide whether to be a dip or a condiment. It’s like, just decide, hummus! Second of all, everyone thinks it is soooo healthy just because it’s made of chickpeas, and people just looove to slather it all over their falafel and act like they are so healthy and hipster as they talk about PETA and gender bias and the problem of bourgeois hegemony–okay, so I went to Brown–but everyone is wrong, my SkinnyFriend. Most of the time, hummus is fattening and caloric and is very dangerous in uncontrolled portions. So unhealthy and SO unhipster. It's no Links of London either, but it's very good! 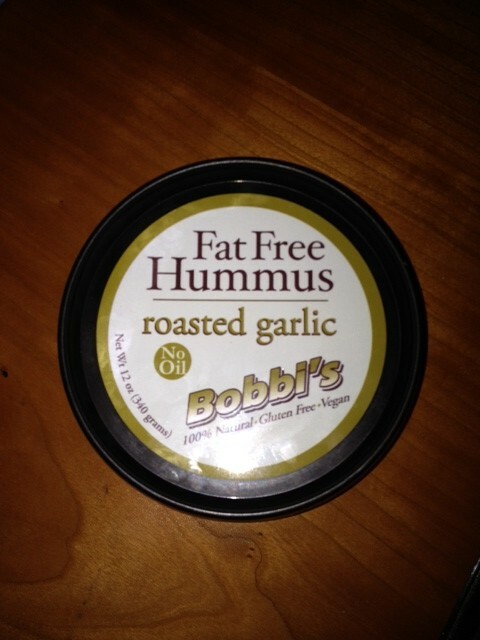 But Bobbi’s hummus is fantastic-tasting and is not dangerous at all! It’s creamy and garlicky (don’t eat it before a date) and is everything one could want in hummus. It is fat-free and has only 20 calories per two teaspoons, which is AMAZING for hummus and by my calculations means there are only 240 calories in the whole container. So if you end up accidentally eating half the container when you anxiety-eat your baby carrots at 10:30 pm, no need to feel suicidal! Click here to start receiving updates!